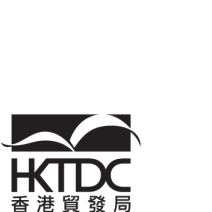 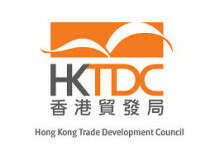 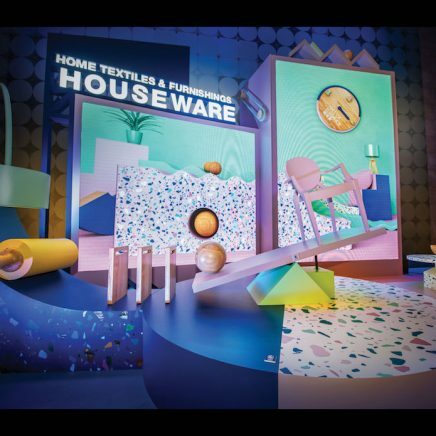 Every year during April, three of Asia’s largest trade fairs are organised in succession by the Hong Kong Trade Development Council (HKTDC) at the Hong Kong Conference & Exhibition Centre. 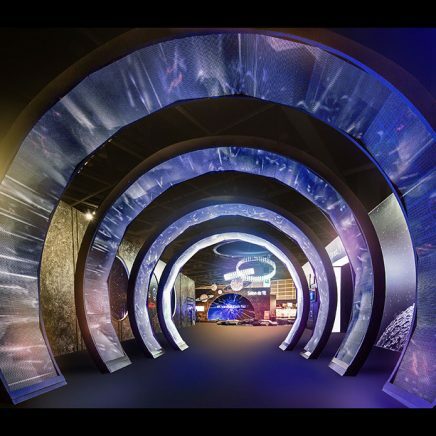 Each fair is opened for 4 days followed by a 3-day turn around period for the next setup. 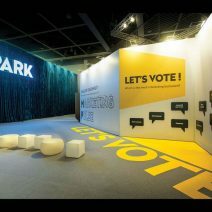 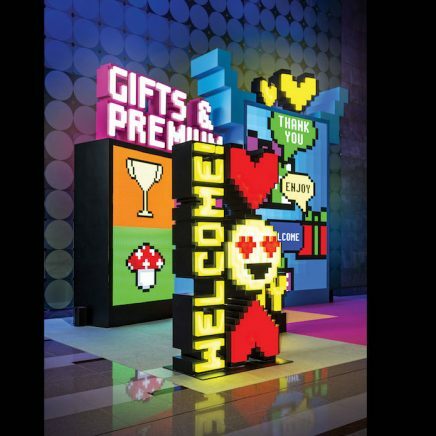 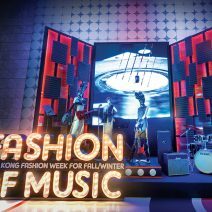 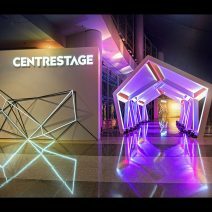 This year, the organiser required a more sustainable solution for creating the title signage installation at the venue’s main entrance foyer compared to previous years. 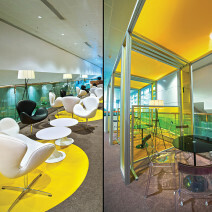 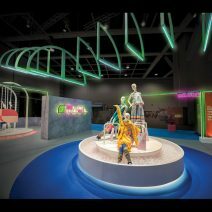 For this, a “Triple reuse” design format was developed by using a shared core structure for three events, in the form of a mobile transport. 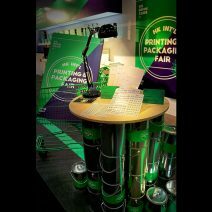 The resulted in less construction time used & less wastage, yet our approach provided enough creative flexibility for each of the fairs to have its own bespoke identity. 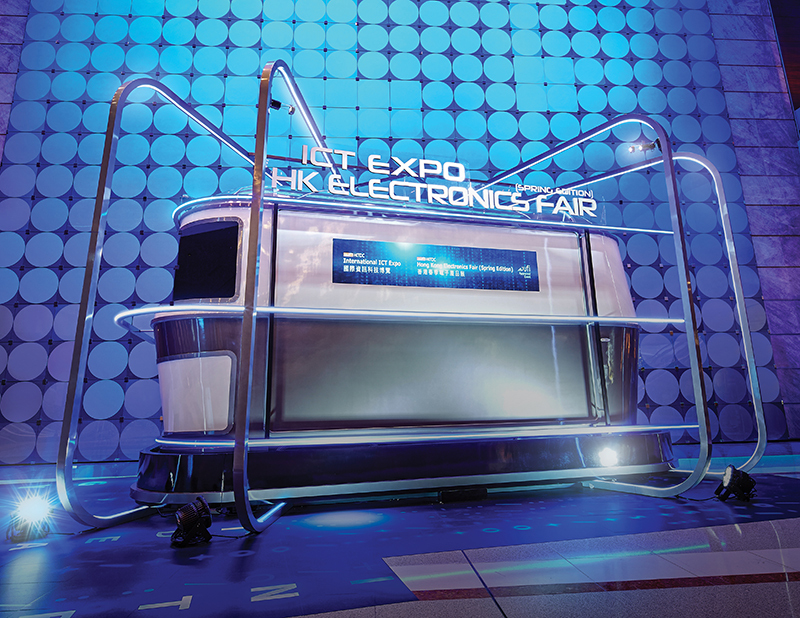 For the first event, the HK Electronics Fair, a futuristic transport was built as the main structure. 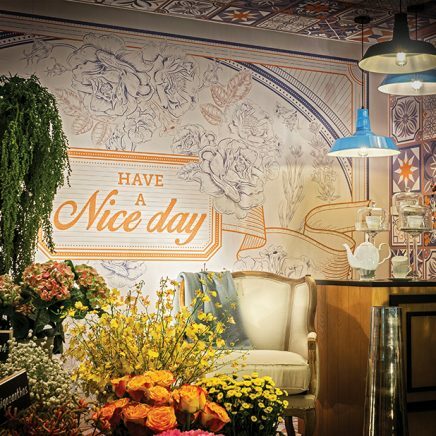 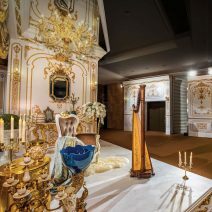 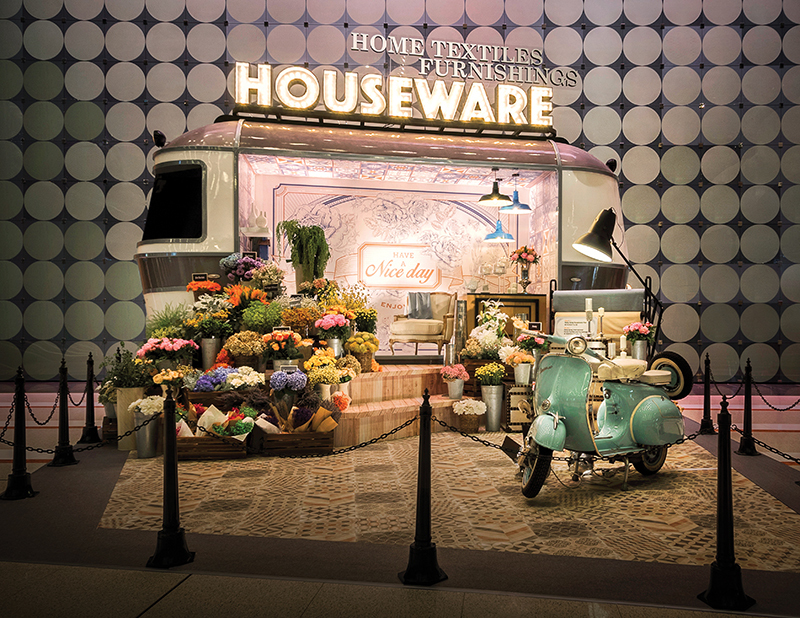 Then followed by the HK Houseware Fair, a softer thematic approach was adopted to simulate a European mobile flower boutique. 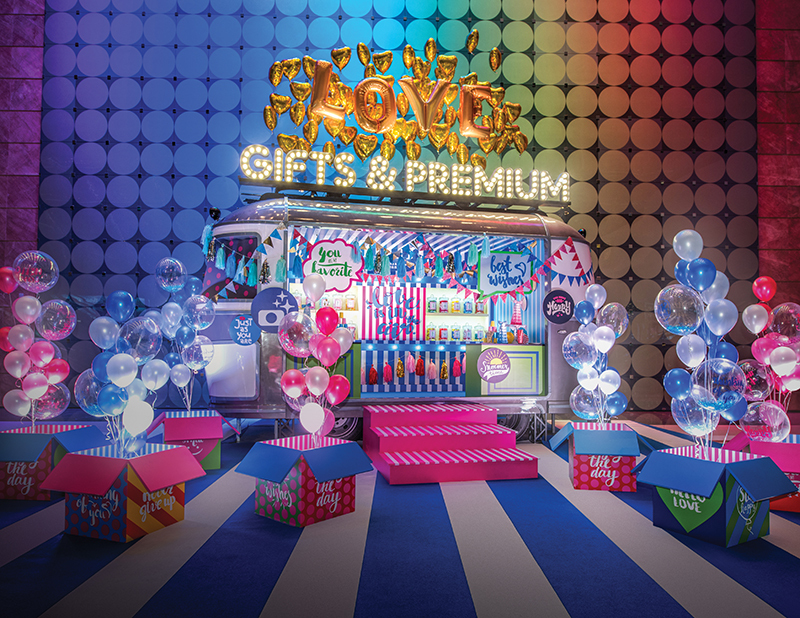 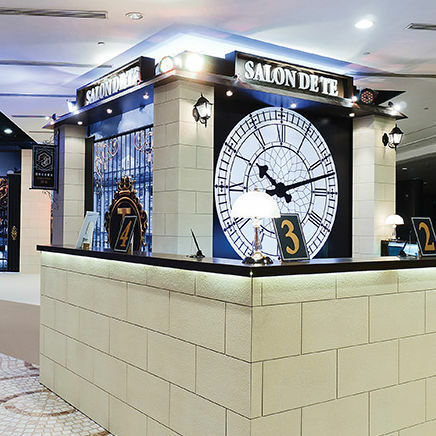 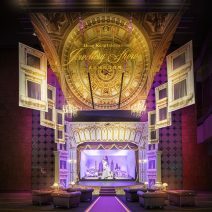 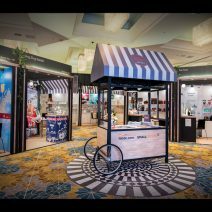 For the final version, the core structure was transformed into a pop-up confectionary stall, set in a festive ambience to represent the HK Gifts & Premium Fair.